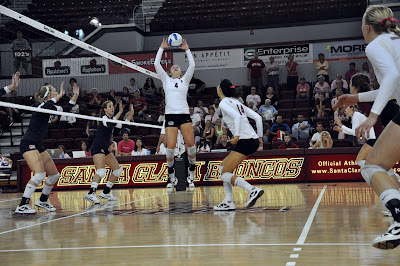 On Saturday, October 17, I attended the Santa Clara Volleyball Game against Gonzaga. Sadly, Santa Clara lost the match after their lead in the beginning. 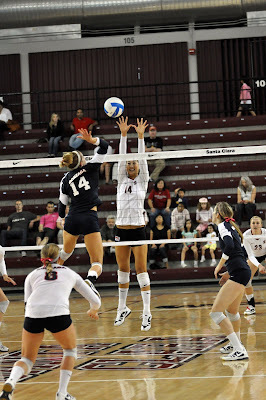 Santa Clara won the first two sets, but lost the next two, causing them to go into a tie breaker set. 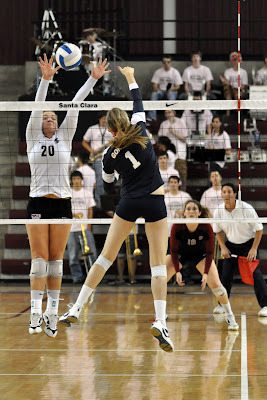 Santa Clara lost the tie breaker, giving the match to Gonzaga. Although I took pictures at many volleyball games in high school, this was my first time taking volleyball pictures at Santa Clara, and I must admit it was pretty successful. The game speed was faster than high school games, in terms of ball speed, which I feel helped me get better photos. I could feel the adrenaline from the players while I was sitting on the sidelines, which helped me keep up with their speed. Here are three of my favorite photos from the day. Swine Flu: Are you worried? Swine Flu: Are You Worred?